We are thoroughly joyous to announce that we’ve successfully completed our initial stage of the BETA launch i.e. BEX allocation and now, we’ve moved on to our penultimate stage i.e. Deposit only process and would be evenly happy to have you on board. 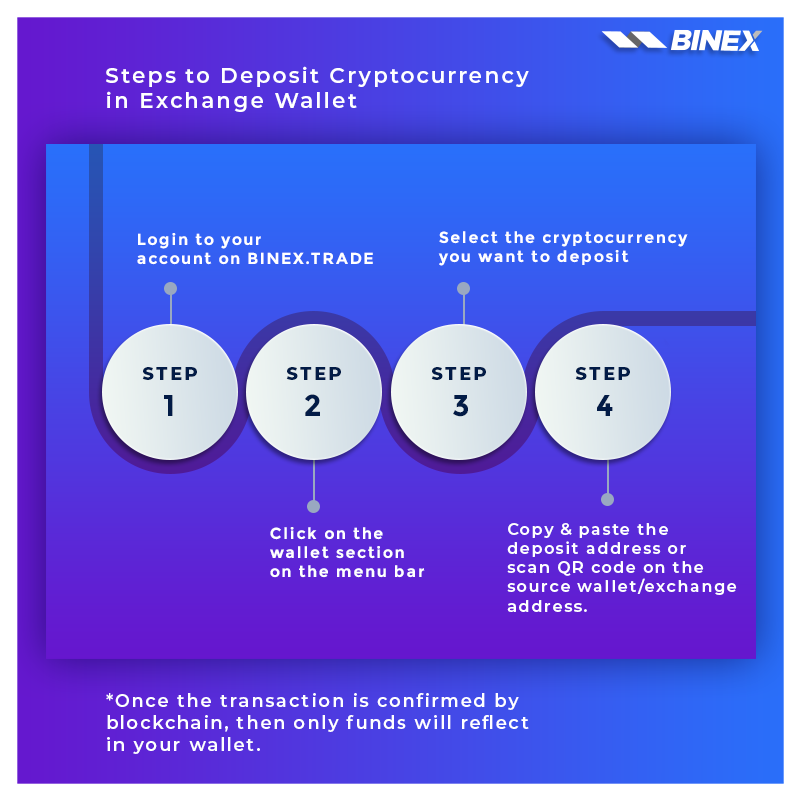 From here onwards, you will be able to deposit any of the below mentioned cryptocurrencies in your BINEX exchange wallet from any other exchange or wallet address at zero deposit fee. * You can find the same on https://www.binex.trade/fees structure. So, don’t wait any more, login now and have all your crypto-assets stored at one place. Visit https://www.binex.trade/ and explore a world full of possibilities.